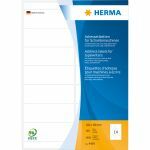 HERMA Address labels for typewriters A4 102x38 mm paper matt round corners 1400 pcs. HERMA Address labels for typewriters A4 105x42 mm paper matt square corners 280 pcs. 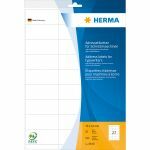 HERMA Address labels for typewriters A4 67x38 mm paper matt round corners 420 pcs. 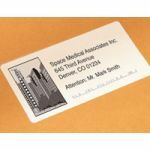 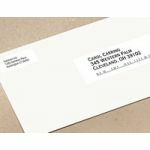 HERMA Address labels for typewriters A4 70x32 mm paper matt square corners 540 pcs.